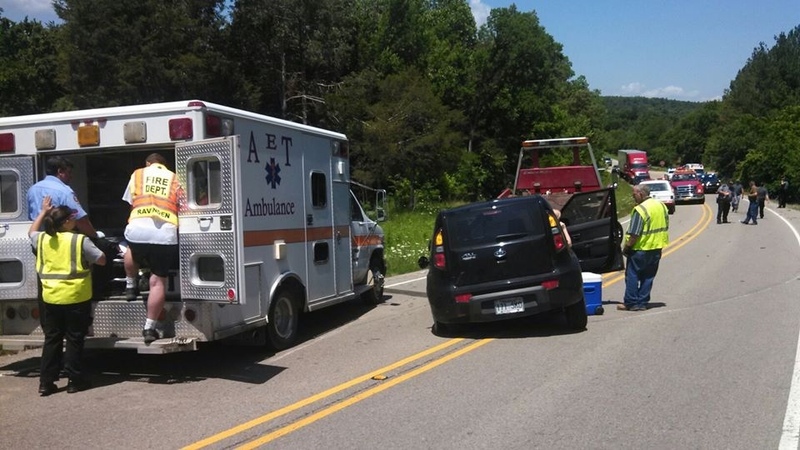 At 11:30 am on Saturday, the Lawrence County Dispatch received several 911 calls reporting a 2 vehicle head-on accident on Hwy 63 at the Lawrence County/Sharp County line. 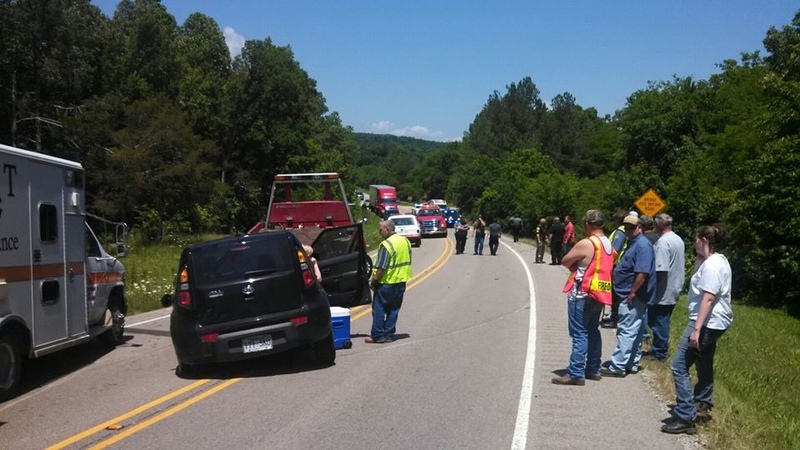 The Imboden Volunteer Fire Department, Ravenden Volunteer Fire Department, AET Ambulance of Imboden, Ravenden Police Department, Arkansas State Police and Lawrence County Sheriff’s Office were all notified immediately and we in route to the accident. Units were on scene at 11:38 am. A medical helicopter was requested but then cancelled by medical personnel on scene after the patients were assessed. Reports from the scene stated there were 3 injured, all appeared to be minor. 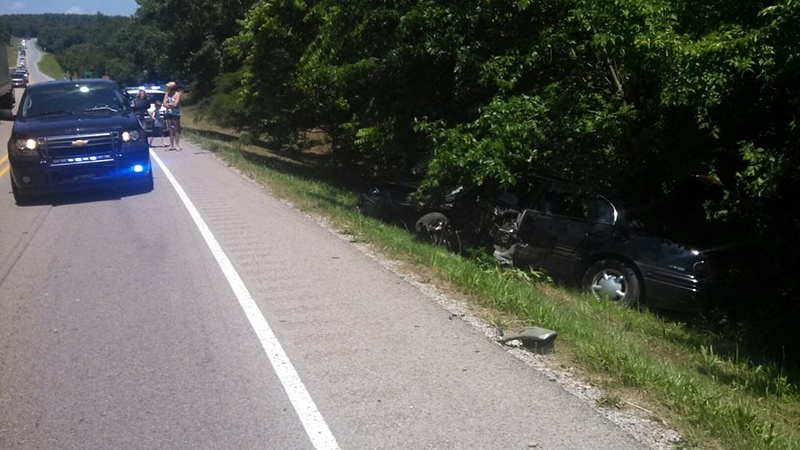 Hwy 63 was also reportedly shut down due to the accident. At 11:45 am the Imboden Volunteer Fire Department checked clear from the scene. 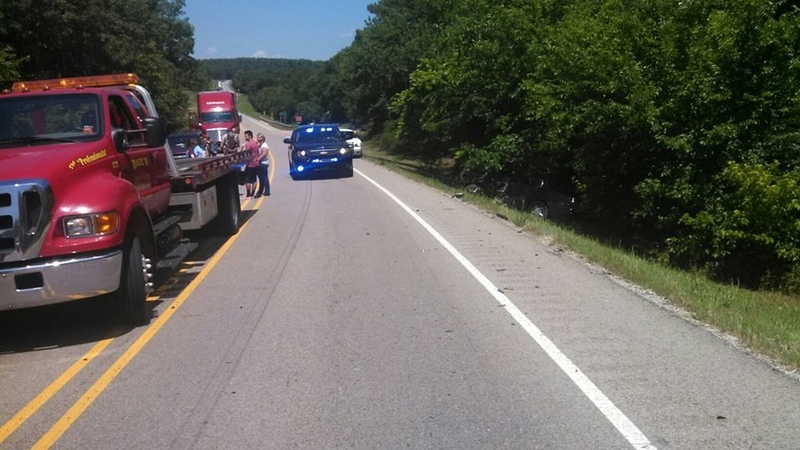 The accident is being investigated by the Arkansas State Police with assistance from the Ravenden Police Department and Lawrence County Deputies. Thanks to Dave Lawrence for the above photo’s.